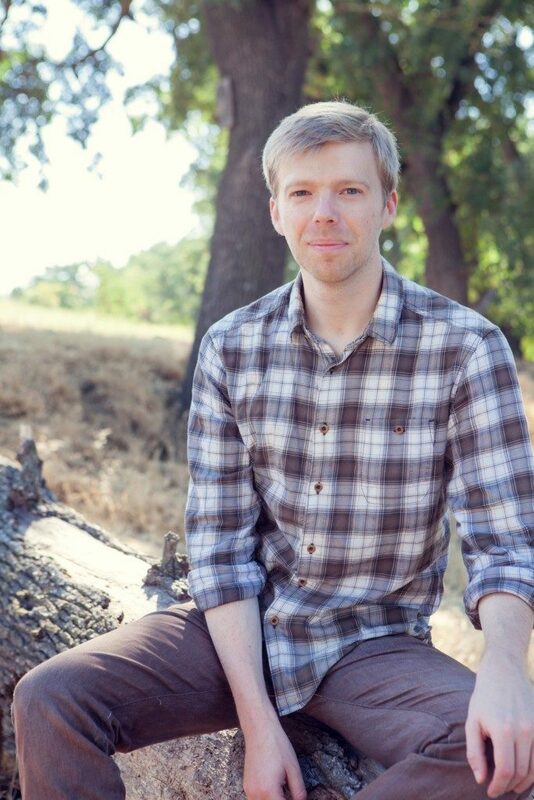 Composer Andrew Norman’s fascination with architecture arises from his admiration for the fearlessness exhibited in some of the most innovative examples from the field. There are, of course, the creations of architecture’s two ‘Franks’ who have been represented in his music: Frank Gehry, now in his late 80s and Norman has had discussions with him, and Frank Lloyd Wright, who died two decades before Norman was born. More recently, he has been struck by the architectural designs of Elizabeth Diller, the founding partner of Diller Scofidio + Renfro. This spring in New York City, The Shed will open as a new concept arts center that is the epitome of versatility when it comes to spaces for visual, theatrical and performing arts. The firm’s website indicates The Shed was inspired by an unrealized concept called the Fun Palace, which British architect Cedric Price and theater director Joan Littlewood created in the 1960s. Just days ago, the Royal Academy of Arts in London announced that Diller and colleague Ricardo Scofidio received the 2019 Royal Academy Architecture Prize. Norman has cultivated a unique fearlessness in his own music that riffs ingeniously on the ideas of fun and play. Receiving Musical America’s top composer award honors two years, Norman has been a Pulitzer Prize finalist, a Grammy nominee and Play, one of his large orchestral works, was named by National Public Radio as one of the year’s top recorded albums in 2015. 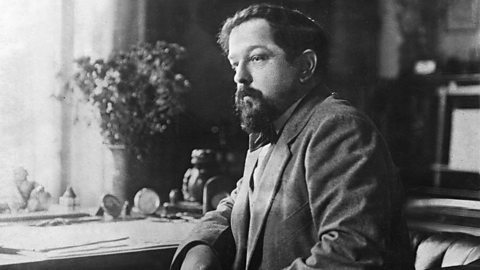 On Reflections, the upcoming concert of the NOVA Chamber Music Series, three works by Norman highlight an engrossing programming concept that includes music by two composers at opposite ends of their creative lives – Claude Debussy (1862-1918) just before his death from cancer and Antonín Dvořák (1841-1904) in the first flurry of seeing his music being performed publicly for the first time. The program will be presented Feb. 17 at 3 p.m. in the Libby Gardner Concert Hall on The University of Utah main campus. Normally, one might hear just one of a contemporary composer’s work on an individual program. 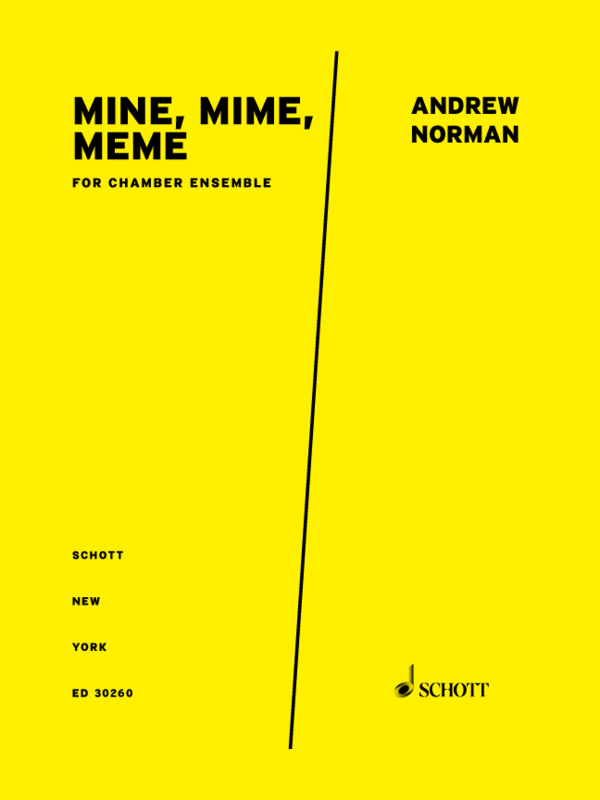 Reflections affords the opportunity to hear three chamber music works, as Norman has developed his creative voice: Light Screens (2002), Frank’s House (2015) and Mine Mime Meme (2016). In his early twenties, he developed his roots with some inspirational inflections of the expansive soundscapes of Aaron Copland, John Adams and Olivier Messiaen. His recent works give musicians the experience of immersing themselves in strange, unfamiliar environments of sound and space. Likewise, he goes beyond the conventional boundaries of how movements of his work might be structured. In an interview with The Utah Review, Norman says revisiting Light Screens (2002), one of his earliest performed works, is in some ways like “going back to a high school yearbook and seeing a picture of yourself.” But, as he acknowledges, it also shows the “kernels of musical ideas” that would blossom in his later years. Norman’s architectural passions were as strong in his youth as they are today. Light Screens, a 10-minute work for flute, violin, viola and cello, was premiered in Bennington, Vermont at a composers’ conference. Norman, who has developed the excellent habit of writing his own program notes, noted that he was struck by the patterns of Wright’s art glass windows that were part of many of his Prairie Style homes. “The window panels feature simple shapes like the square and the rhombus in repetitious designs, and there is often a lively dynamic of asymmetry between areas of intense geometric activity and expanses of largely empty space,” he wrote, which embodies perfectly the best way to listen to this particular work. Throughout the interview, Norman speaks so naturally about the symmetrical interactions of his two greatest artistic passions. He sculpts the sound of his music in terms of how one could imagine hearing it in the acoustic settings of Walt Disney Concert Hall in Los Angeles, which Gehry designed, or the redesigned Juilliard School or forthcoming The Shed, designed by Diller and her colleagues. In fact, one should anticipate the delight of hearing his music in the lively, vibrant acoustics of Libby Gardner Hall. More recently, he has focused on skyscrapers, and responding musically by creating the sonic corollaries of architectural façade modules and building big musical shapes out of small objects. 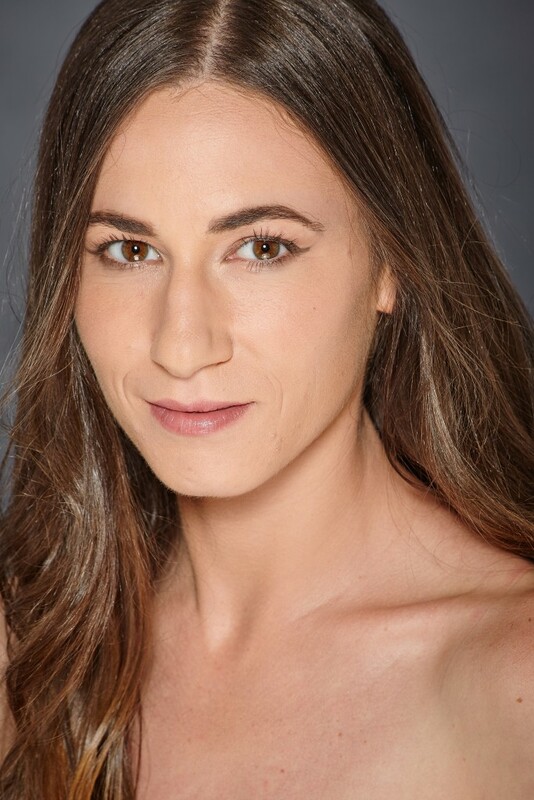 The third work is Mine Mime Meme, a commissioned piece that was inspired a Random International art installation and was written for eighth blackbird, a chamber sextet. It received its premiere in 2016 at Carnegie Hall. 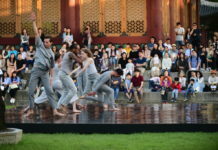 While the work is in three movements, its premiere was part of an evening length performance where the first two movements were spread out as “teasers” before the final movement is played. The movements are not to be played consecutively. The work is scored for alto flute, B-flat clarinet, vibraphone, piano, violin and cello. Norman’s notes are an entertaining read for this work. Trying to make sense out of an unfamiliar environment, the cellist goes for various sounds and phrases, all of which the other five instruments mimic. ‘The cellist eventually finds a soulful aria (Meme 3), and as the aria becomes more impassioned, the imitators get better and better at predicting what the cellist is going to do,” he describes. The work becomes a lesson in group dynamics, as the instrumental rivals challenge the cellist’s leadership position, along with a few surprises. The program closes with Dvořák’s String Quintet No. 2 in G Major, Opus 77, written in 1875, as the first phase of his public career flourished. The composer’s reputation was rising quickly, when he submitted this for a national award. The score, inscribed with the message ‘for my nation,’ won first prize. 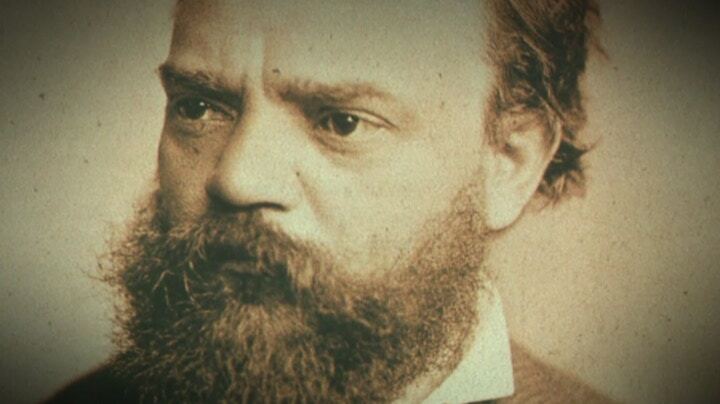 Dvořák was 34 when he wrote this work, highly representative of that rough-hewn lyricism that became his sonic trademark. Norman’s appearance at NOVA underscores the fruitful relationship he has made in Salt Lake City. As the Utah Symphony just announced its 2019-2020, Norman will return as Composer-in-Association, with orchestral works on the program in three concerts. The Symphony commissioned Norman to write Switch, a percussion concerto, that premiered in 2015 and was recorded live for a subsequent release on the Reference Recordings label. The concerto also was performed when the Symphony performed at Carnegie Hall in 2016. Next month, Norman’s Play will be on the program with a performance of the Rachmaninov Second Piano Concerto. For more information and ticket information, see the NOVA Chamber Music Series web page.